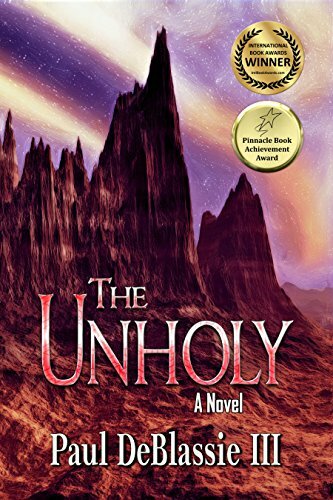 Winner of the International Book Award and Pinnacle Book Award, The Unholy is the compelling story of Claire Sanchez, a young medicine woman, whose people have fallen victim to the influence of the evil Archbishop, William Anarch. Haunted by the memory of her mother’s murder, Claire has lived most of her life in fear. But the Archbishop’s mounting horror compels her to expose the dark side of his religion and face the truth: good is not always what it appears to be. Confronting Anarch means risking her life and uncovering the closely guarded secrets of her past. Set in the mystic land of Aztlan, a mythopoeic realm of hidden terrors and guiding spirits, The Unholy is a supernatural tale of Claire’s confrontation with destiny as healer and slayer.